Kelly Reilly has been cast in a lead role (in which she was the top choice too) as Elizabeth Black in a new ABC limited (13 episodes) drama series The Black Box, her first TV series in America! Last week I posted a First Look of Matthew Rhys as Mr. Darcy on set filming 'Death Comes to Pemberley' at Chatsworth. This week, BBC One's Death Comes to Pemberley starring Matthew Rhys,Anna Maxwell Martin, Matthew Goode resumes filming in York. 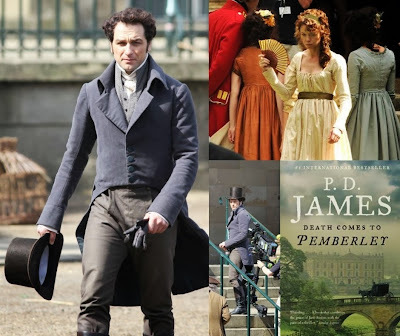 Matthew Rhys (in a different Darcy costume) along with co-stars Anna Maxwell Martin (as Elizabeth Darcy...née Bennet...see a first look and an on set photo of her in character above and below) and Matthew Goode (as Mr. Wickham) were spotted on set filming scenes as well as taking a break. Filming has also taken place at the Treasurer's House, Castle Howard, Chatsworth House, and Harewood House, with more scenes expected to be shot this week. Homeland returns Sunday, Sept. 29 at 9 p.m. on Showtime. 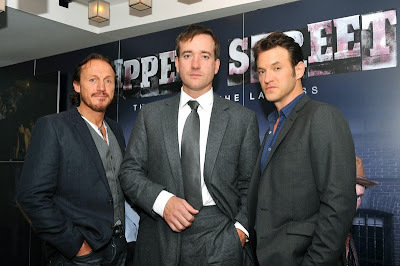 BBC Americaannounced last week during the channel’s presentation for the Television Critics Association in Beverly Hills that a Season 2 premiere date for Ripper Street(starring Matthew Macfadyen, Jerome Flynn, and Adam Rothenberg ) will be on December 1st, over a month earlier than its first season premiere (which was earlier this year, January 19th). 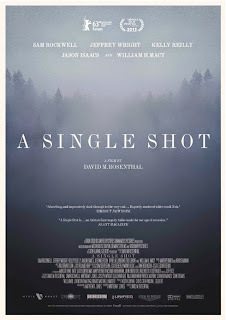 Last April, I previously posted here the first teaser trailer for David M. Rosenthal'scrime thriller A Single Shot (which had its Berlinale Festival world premiere) starring Sam Rockwell, Kelly Reilly, Melissa Leo, William H. Macy, and Jeffrey Wright has just been released today. See the movie poster and images from the film here. It played at the Tribeca Film Festival last April too. The will be available nationwide OnDemand beginning on August 20th and opens in theatrical release on September 20th! A Single Shot is about the tragic death of a beautiful young girl, which starts a tense and atmospheric game of cat and mouse between hunter John Moon and the hardened backwater criminals out for his blood. Casting News Update: Rosamund Pike landed female lead role in David Fincher's 'Gone Girl'! Great news, as previously posted here almost a week ago, Rosamund Pike(in P&C advert photo by Peek & Cloppenburg via Facebook) wasbeing considered to be a front runner to star in a female lead role opposite Ben Affleck in David Fincher's upcoming film Gone Girl. Well, today, The Hollywood Reporter reported that, Miss Pike was chosen and offered the lead role as Amy and is expected to accept the juicy part and star with Ben Affleck (as Nick) in the film adaptation of Gone Girl (Read more info. about the novel here). Yay, so glad for Rosamund! Glad she got the part, good for her, as she deserves to be in more bigger and leading roles. Speaking of Rosamund and Ben, I previously posted a different picture of them hanging out together back in 2008 in an Esquire dinner with Affleck's younger brother Casey and fellow Brit actress Hayley Atwell here: Rosamund Pike @ Esquire Dinner for Ben & Casey Affleck. The 2013 Toronto International Film Festival has just been announced and two films Can A Song Save Your Life? starring Keira Knightley and Philomena starring Judi Dench are going to debut and premiere under Special Presentations at the festival. The 2013 Toronto International Film Festival runs from September 5-15th. 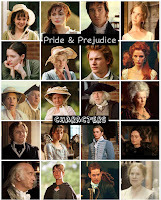 Deadline reports that Carey Mulliganis going to reunite with Focus Features (Pride & Prejudice) andShamescribe Abi Morgan to starinThe Fury. Last week BBC One's Death Comes to Pemberley starring Matthew Rhys,Anna Maxwell Martin, Matthew Goode was Filming at Chatsworth. Filming took place in the house and garden between July 14th-19th, for a three-part BBC drama. 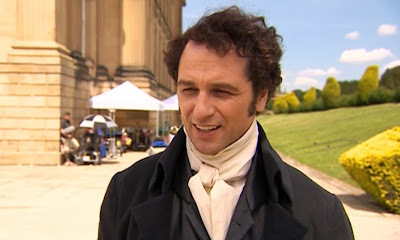 BBC News has posted a behind the scenes video from the set of the film, which includes a short interview of Matthew Rhys (see a screen cap of him above ^ in a first look of him in Darcy character) on set at Chatsworth and in Darcy costume. Also, a first look of Matthew Goode and Jenna Coleman as The Wickhams in a brief behind the scenes footage of them in action. Jena Maloneattended (earlier today), Lionsgate's The Hunger Games: Catching Firefilm (Donald Sutherlandco-star in the sequel to the mega-blockbuster The Hunger Games) and "I, Frankenstein" Press Line during Comic-Con International 2013 at Hilton Bayfront on July 20, 2013 in San Diego, California. Read a Comic-Con: THE HUNGER GAMES: CATCHING FIRE Panel Recap; Jennifer Lawrence, Josh Hutcherson, Liam Hemsworth, and More Premiere New Trailer via Collider. A new trailer for The Hunger Games: Catching Firefilm (Donald Sutherlandand Jena Malone co-star in the sequel to the mega-blockbuster The Hunger Games) premiered exclusively this afternoon at the international San Diego Comic-Con 2013, which Yahoo! Movies has released soon after its Comic-Con premiere. 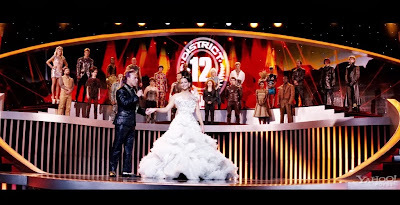 While we see a lot of Donald's President Snow in the trailer, we only see Jena's Johanna Mason on a quick glimpse. I made a few screen captures from the trailer (scroll down below) to see a bit more of Jena's character in action, if you missed her in the trailer. Jena Malone attended (as previously posted here) and was part of a Catching FireQ&A panel along with her Catching Fire co-stars Jennifer Lawrence, Liam Hemsworth, Lenny Kravitz, and more with directorFrancis Lawrence. The Hollywood Reporter reports that Rosamund Pikeis being considered to be a front runner to star in a female lead role opposite Ben Affleck in David Fincher's upcoming film Gone Girl. I'd say, yes please, for Rosamund Pike to get cast in this movie and for her and Ben Affleck to co-star in a film together. Hope Miss Pike gets the part. I'm sure she and Affleck will look good together in this movie...they already do, anyway, in the above photo (via Peek & Cloppenburg)! Rosamund has previously worked with (but not co-star yet in a movie ) and donePeek & Cloppenburg's Spring/Summer 2010 Fashion Campaign with actor/director and Academy Award and Golden Globe winner Ben Affleck. (See previous related postsBehind The Scenes: Rosamund Pike & Ben Affleck in 'Hollywood Stories' (Spring/Summer 2010 Fashion Campaign)andMore Behind the scenes: Peek & Cloppenburg interview with Rosamund Pike). Emmy 2013 Nominations: Downton Abbey with 12 and Homeland and Rupert Friend with 11! The 65th Prime Time Emmy Award Nominations were announced yesterday and PBS Masterpiece's Downton Abbey (Penelope Wiltonco-stars) scored 12 nominations! 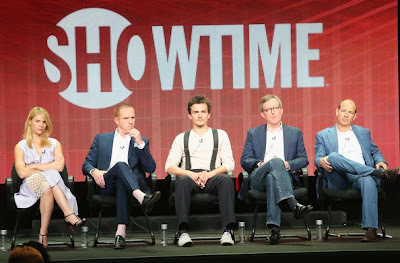 Homeland, the hit Showtime sophomore series that Rupert Friend was a recurring (regular) guest star earned 11 nominations including one for Rupert (his very first Emmy Nomination!) for Outstanding Guest Actor for a Drama Series! Congrats to Rupert Friend, Homeland, and Downton Abbey for their 2013 Emmy Nominations!!! 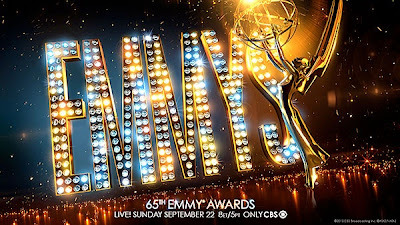 The 65th Emmy Awards will be held on Sunday, September 22nd, on CBS. Today (July 18th) is Kelly Reilly's (aka P&P's own Caroline Bingley) 36th Birthday! She was nominated for a 2004 Laurence Olivier Theatre Award for Best Actress of 2003 for her performance in "After Miss Julie" at the Donmar Warehouse. She became the youngest actress ever to be nominated for that category (aged 26). See more trivia(via imdb). 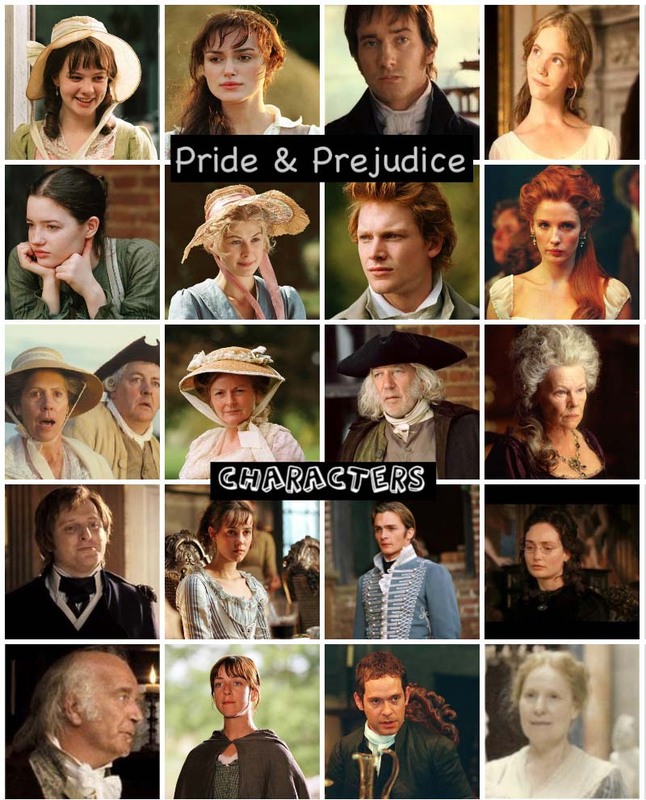 Today, (July 17th) is Donald Sutherland's (aka P&P's own Mr. Bennet) 78th birthday! Born: Donald McNichol SutherlandJuly 17, 1935 in Saint John, New Brunswick, Canada The towering presence of this Canadian character actor is not often noticed, but hiscontributions are legendary. He has been in almost a hundred and fifty different show and films. He is also the father of renowned actor Kiefer Sutherland. 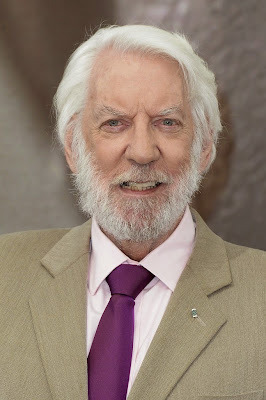 Born in New Brunswick, Sutherland worked several different jobs... See full bio (via imdb).Happy 78th Birthday Donald Sutherland!!! Jena Malone to attend Comic-Con 2013 for 'Catching Fire' Q&A panel with new trailer premiere and a new Quarter Quell poster for her Johanna Mason character! A new trailer for The Hunger Games: Catching Firefilm (Donald Sutherlandand Jena Malone co-star in the sequel to the mega-blockbuster The Hunger Games) will be premiering exclusively at this Saturday (June 20th) at international San Diego Comic-Con 2013, which according to Yahoo! Movies, Jena Malone is confirmed to attend and be a part of a Q&A panel along with her CatchingFire co-stars Jennifer Lawrence, Liam Hemsworth, Lenny Kravitz, and more with directorFrancis Lawrence. 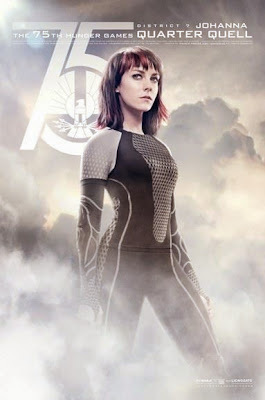 Oh, and Miss Malone is featured in one (see her new Johanna Mason poster above courtesy of MSN and Parallel Universe!) of the 11 Catching Fire Quarter Quell posters released in various websites. Yesterday,Rosamund Pikeattended the World Premiere of her new film,The World's End in London, England. The story for The World's End centers on five childhood friends(played by Simon Pegg, Nick Frost, Eddie Marsan, Paddy Considine, and Martin Freeman) going through an epic pub crawl in order to reach the fabled pub, “The World’s End”.The World's Endopens in the U.K. on July 19th and in the U.S. on August 23rd. As previously posted here late last December (2012), Kelly Reilly is reprising her Wendy role for the third time that she had started fromL'Auberge Espagnole (2002) (aka The Spanish Apartment). The title of the new film is Chinese Puzzle (Casse Tête Chinois), the follow up and third installment to French director Cédric Klapisch's trilogy, which started in L'Auberge Espagnole (2002) and Russian Dolls (2005). Chinese Puzzle will be released in Cinema in France on December 4th and in early 2014 in the U.S.
Edgar Wright's The World's End has released previously Two posters for 'The World's End' featuring Rosamund Pike, a new trailer was released recently as well, and here are two new stills includingRosamund Pike. The story for The World's End centers on five childhood friends(played by Simon Pegg, Nick Frost, Eddie Marsan, Paddy Considine, and Martin Freeman) going through an epic pub crawl in order to reach the fabled pub, “The World’s End”. The World's Endopens in the U.K. on July 19th and in the U.S. on August 23rd. Last January, I previously posted about Rosamund Pike is the new face of L.K. 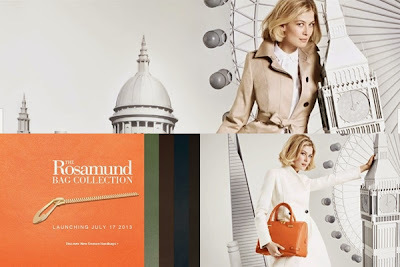 Bennett for Spring/Summer 2013 campaignand now the lovely and beautiful Rosamund Pike is not the only star of the new L.K. Bennett campaign; a capsule collection of bagsshe has designed in collaboration with the label also enjoy their moment in the spotlight. Aptly named after the British actress, the Rosamund Bag Collection features three bags in differing sizes: the Rosa, Rosie and Rosamund. With the attitude of Julie Christie in the opening scene of Darling as inspiration, the boxy totes come in six colourways. 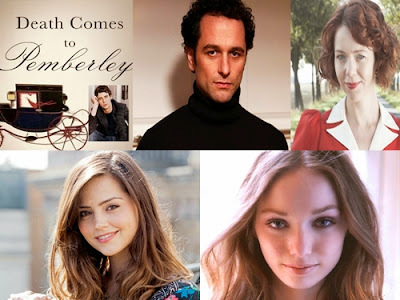 As previously posted here, BBC One's Death Comes to Pemberley has announced its main trio cast of Matthew Rhys (who co-starred with Keira Knightley in The Edge of Love film) and Anna Maxwell Martin (who co-starred with Carey Mulligan in Bleak House, with Penelope Wilton on South Riding, and sister to Anne Hathaway's Jane Austen in Becoming Jane) has been cast to play Mr. Darcy and Elizabeth (Bennet) Darcy. Matthew Goode (who co-starred with Penelope Wilton in Matchpoint and Claudie Blakley in He Knew He Was Right) will play Mr. Wickham. Now, more cast members has been added and confirmed via BBC - Media Centre(see full cast and crew listing on IMDB)as production for the 3-part serial began last month. 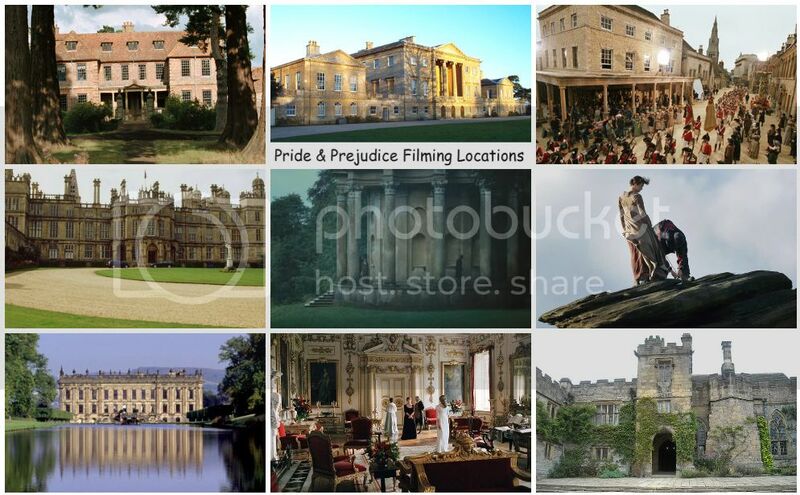 The cast and crew are currently filming at Castle Howard in Yorkshire, England, UK until July 12. The first trailer is now here via Yahoo! 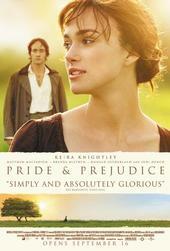 Movies for the upcoming Austen related movie Austenland starring Keri Russell (The Americans, Felicity). Austenland opens in limited release on August 16th (New York and LA) with more U.S. cities TBA and in UK Cinemas September 27th.